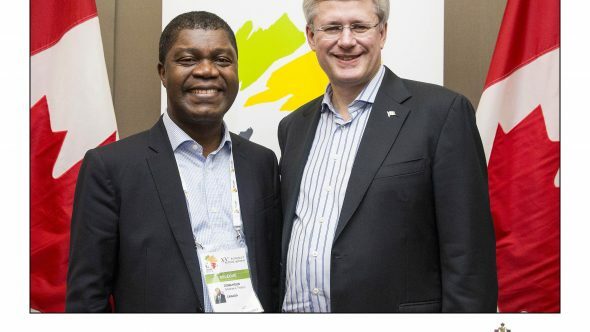 DAKAR, SENEGAL- 28 NOVEMBER 2014- The African Institute for Mathematical Sciences- Next Einstein Initiative (AIMS-NEI) was part of Canadian Prime Minister Stephen Harper’s delegation to the Francophonie summit in Dakar. The summit, which will take place November 29and 30, and will bring together heads of state and governments ofcountries which have the French language in common to explore the theme Francophonie’s women and young people: vectors for peace and actors for development. Since 2003, AIMS-Next Einstein Initiative has been contributing to the sustainable development ofAfrica by harnessing the continent’s potential in mathematical sciences for the benefit ofsociety as a whole. African development will not happen at the pace and depth it needs to without the empowerment of girls, youth and women, especially in the STEM areas. With five centres of5excellence in various African countries, AIMS-Next Einstein Initiative has graduated more than 731 students (30% women) with over 80% going into Master'sand PhD programs directly after AIMS at excellent universities in Africa and abroad. AIMS-Next Einstein Initiative alumni are currently teaching at primary, secondary and tertiary level in Africa, influencing future generations of learners and leaders. The Francophonie summit, which takes place every two years, elected the first Secretary General from Canada, the Rt. Hon. Michael Jean who also served as Canada’s 27th Governor General from 2005 to 2010 and was Chancellor of the University of Ottawa. 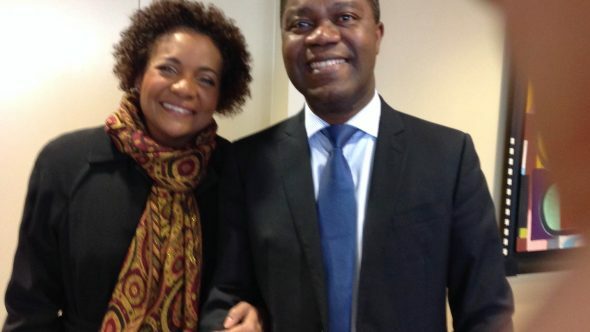 Her Excellency became the 3rd Secretary of the Organization Internationale dela Francophone and she was a prominent advocate for AIMS participating in the launch of AIMS Cameroon and visiting and promoting AIMS Senegal in 2013. The Summit was chaired by Senegalese President Macky Sall, and serves to develop strategies and goals of the Francophonie around the summit’s theme. President Sall is also the Patron of the AIMS initiative, the Next Einstein Forum (NEF), a new global forum for science in Africa.